All our education, elocution, or extravagance will not ultimately be what astonishes people. 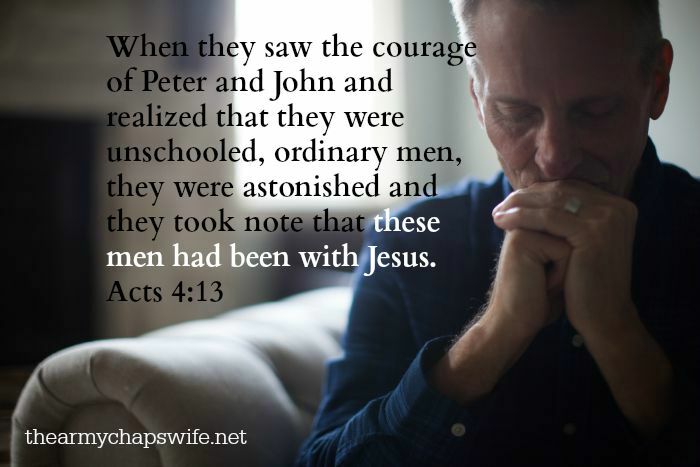 It will be the courage we display because we have been with Jesus. Courage, boldness, confidence: the deportment by which one becomes conspicuous or secures publicity (from the Greek definition of parresia). How conspicuous am I, for the right reasons?